While making sure you have the highest level of refrigeration equipment and units available is imperative to the success of your business, you could come undone if you do not have an adequate level of commercial refrigeration service cover set up to protect you in the event of something requiring maintenance or repair. At J&M Refrigeration we provide a vast number of planned refrigeration maintenance contracts, which will help you to look after the wellbeing of your refrigeration and air conditioning units. Each of the contracts we provide can be personalised to meet your specific needs and can reduce the chance of equipment failure along with ensuring the optimal performance by allowing the equipment to run more efficiently. The reason why planned commercial refrigeration maintenance is so important is that without it your equipment may reach a point where it cannot perform to optimal levels and in turn may begin to work inefficiently. Should that happen it will not be long before you notice a drop-in sales or the number of customers entering your store or café. Without regular planned refrigeration maintenance, your fridges and freezers may not cool to the correct temperature, something which could be detrimental to keeping your stock and products as fresh as possible. Our experienced engineers will ensure that, as planned as part of your contract, all your units are correctly maintained, serviced and repair as required. Through planned refrigeration maintenance, available as part of our complete commercial refrigeration service, we can make sure all of your equipment is in working order, with a reduced output cost and a prolonged lifespan. Our maintenance provision is available nationwide so wherever it is in the country that you run your hotel, restaurant, café or foot retail outlet from you can rest safe in the knowledge that you can benefit from our planned maintenance service. In addition to our refrigeration planned maintenance contracts, which allow you to regularly schedule for our engineers to visit your business premises to perform any maintenance or repairs you require, we also offer a reactive breakdown cover. With this service, J&M Refrigeration are available 24 hours a day, 7 days a week for a call out service intended to quickly resolve any issues you have with your refrigeration or air conditioning units. 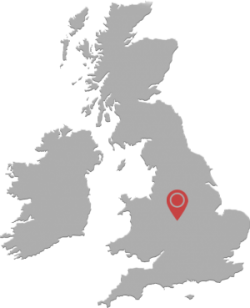 Our vans arrive fully stocked, although if we do not have any required specialist parts to hand, thanks to our nationwide supply network we can usually source the fittings you need in less than 24 hours. To discuss our commercial refrigeration service in further detail, do not hesitate to contact us by calling 0121 544 0555. The J&M Refrigeration team are more than happy to help with any queries you may have.